TheBlueGuerilla: Farage Eyes Portsmouth South With By-Election Call. Farage Eyes Portsmouth South With By-Election Call. TBG has said for some time now that Nigel Farage has been on stand by for a by-election in Portsmouth South. And last night the UKIP Leader told Portsmouth Lib Dems head-on that if Mike Hancock's health continues to decline and he can't do the job then there should be a by-election. As TBG reported earlier this week, Hancock has been in hospital since February and remains there today "being treated for poor health." 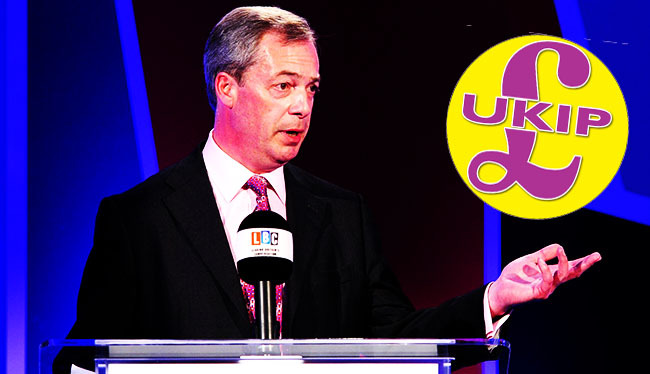 Farage told a public meeting in Portsmouth last night - "I don't think I can prejudice innocence or guilt. But it looks like the people in Portsmouth South haven't really been represented at all." "He hasn't been at the House of Commons for a very long time." "I have been told that there is a very serious health issue." "But is it right that constituents here are not really being represented?" "The time may come for a by-election!"